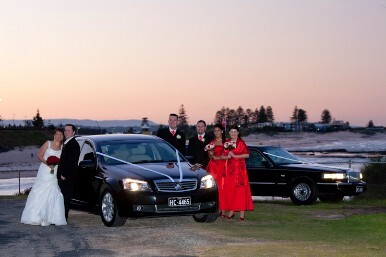 Elite Hire Cars Limousines & Wedding Cars service the entire NSW Central Coast & Newcastle with a limousine and wedding car fleet featuring some of the most glamorous and luxurious cars and limousines. Vehicles include; Stretch Lincoln Town Car & Statesman Limousine. The staff and chauffeurs at Elite Hire Cars Limousines & Wedding Cars are totally focused on providing the absolute best cars, best service and best price to all their customers. With a comprehesive knowledge of the NSW Central Coast & Newcastle including churches, function centres, hotels & resorts. For more information, prices, quotes and bookings contact David on (0418) 971 951 seven days a week. Central Coast, Newcastle, Port Macquarie, Hunter Valley, Coffs Harbour, Grafton, Gosford, Green Point, Greengrove, Gunderman, Gwandalan, Halekulani, Halloran, Hamlyn Terrace, Hardys Bay, Holgate, Horsfield Ba,y Jilliby, Kangy Angy, Kanwal, Kariong Kiar, Killarney Vale, Killcare, Kincumber, Kingfisher Shores, Koolewong. Kulnura, Lake Haven, Lake Munmorah, Lemon Tree, Lisarow Little Jilliby, Little Wobby, Long Jetty, Lower Mangrove, MacMasters Beach, Magenta, Mangrove Creek, Mangrove Mountain, Mannering Park, Mardi, Marlow, Matcham, Mooney Mooney,,Mount Elliot, Mount White, Narara, Niagara Park, Norah Head, Noraville, Ourimbah, Palm Grove, Palmdale, Patonga, Pearl Beach, Peats Ridge, Phegans Bay, Picketts Valley, Point Clare, Point Frederick, Pretty Beach, Ravensdale, Rocky Point, St Huberts Island, San Remo, Saratoga, Shelly Beach, Somersby, Spencer, Springfield, Summerland Point, Tacoma Tacoma, Tascott, Terrigal, The Entrance, Toowoon Bay, Toukley, Tuggerah, Tuggerawong, Tumbi Umbi, Umina Beach, Upper Mangrove, Wadalba, Wagstaffe, Wallarah, Wamberal, Warnervale, Watanobbi, Wendoree Park, Wondabyne, Woongarrah, Woy Woy, Wyee, Wyoming, Wyong, Wyongah, Yarramalong, Yattalunga, Alison, Avoca Beach, Bar Point, Bateau Bay, Bensville, Berkeley Vale, Blackwall, Blue Bay, Blue Haven, Booker Bay, Bouddi, Box Head, Budgewoi, Buff Point, Bushells Ridge, Catherine Hill, Canton Beach, Cedar Brush Creek, Central Mangrove, Chain Valley Bay, Charmhaven, Cheero Point, Chittaway Bay, Cogra Bay, Colongra, Copacabana, Crangan Bay, Daleys Point, Davistown, Dooralong, Doyalson, Durren Durren, Empire Bay, Erina, Ettalong Beach, Forresters Beach, Fountaindale, Glenning Valley, Glenworth Valley, Gorokan.